Bulgar is man’s oldest recorded use of wheat. Bulgur is made by soaking and cooking the whole wheat kernel, drying it and then removing part of the bran and cracking the remaining kernel into small pieces. Its uses are numerous from salads to soup, from breads to desserts. It is a nutritious extender and thickener for meat dishes and soups. 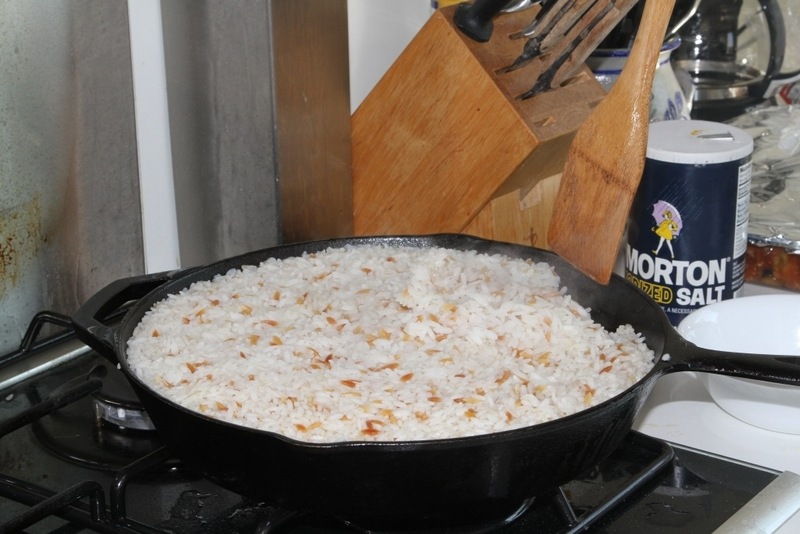 Bulgur will absorb twice its volume in water and can be used in place of rice in any recipe. Bulgur is convenient since it can be either soaked in water or cooked to be edible. It has the same nutritive value as whole wheat. 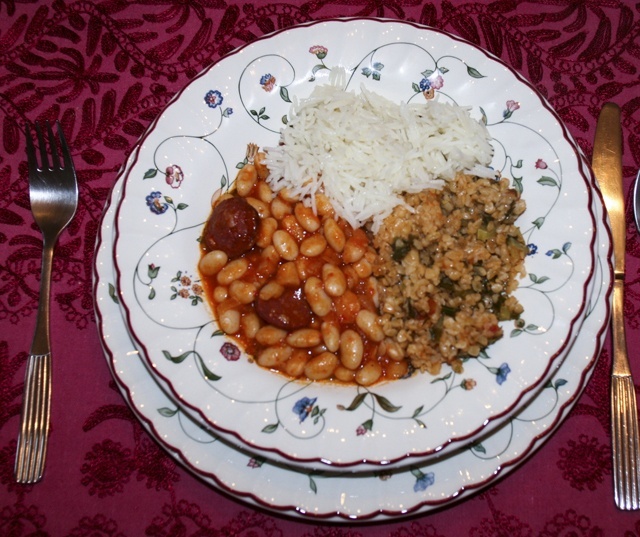 I have previously posted a Bulgur recipe for a side dish often served in Turkey here. Basic cooking instructions: 1 cup bulgar to 2 cups of water. Rinse bulgar. Bring water to a boil, add bulgar. Return to a boil, reduce heat to low, over and cook for about 15 minutes until soft. Additions: Just like oatmeal, you can put anything you like into this warm cereal. It tastes great with walnuts, pecans, apples, raisins, and cranberries. Try it a few different ways then let us know what you thought! So now we can eat bulgur so many ways, do we want to eat it for breakfast too? Let me tell you a story. A few years ago, we went to Egypt to visit Jim’s sister. She and her husband own a house about an hour or so outside of Cairo. It was fantastic getting out into the countryside and not being in the congested city. She lives there on and off for months at time, and while she is there lives an Egyptian life. We only ate breakfast at her house, because the other times we were out and about sightseeing. 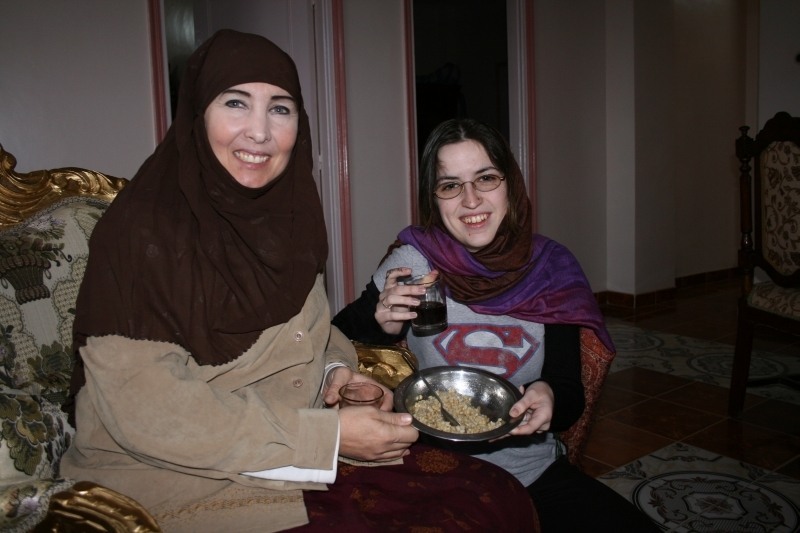 One day we had the typical olives, cheese, cold cut, tomatoes and cucumbers and then one day we ate a hot bulgur cereal. It was cold in the house; I don’t think there is central heating since you really don’t need it except for during the dead of winter. We slept under piles of heavy blankets that made it very cozy. However, waking up and walking on the cold floors we were more than happy to have a nice warm cereal for breakfast. As you can see, the bulgur she made is very easy. Turkish Food – Bulgur – A Tasty Side Dish! Wow! Another example of smiles that brighten your day.